In the fall of 1827, a person by the name of Joseph Smith, of Manchester, Ontario county, reported that he had been visited in a dream by the spirit of the Almighty, and informed that in a certain hill in that town, was deposited this Golden Bible, containing an ancient record of a divine nature and origin. After having been thrice thus visited, as he states, he proceeded to the spot, and after having penetrating “mother earth” a short distance, the Bible was found, together with a huge pair of spectacles! He had directed, however, not to let any mortal being examine them, “under no less penalty” than instant death! They were therefore nicely wrapped up, and excluded from the vulgar gaze of poor wicked mortals!” It was said that the leaves of the Bible were plates, of gold about eight inches long, six wide, and one eighth of an inch thick, on which were engraved characters or hieroglyphics. By placing the spectacles in a hat, and looking into it, Smith could (he said so, at least) interpret these characters. (The Palmyra Freeman, August 11, 1829). These men [Oliver Cowdery & Co.] have brought with them copies of a Book, known in this region by the name of the “Golden Bible,” or, as it is learned on its title-page, “The Book of Mormon.” They solemnly affirm, that its contents were given by Divine inspiration; was written by prophets of the Most High from a period of 600 years before, to that of some hundred years after our blessed Saviour’s advent; was deposited by Divine command below the surface of the ground, in or near the township of Palmyra, Ontario Co., N. Y., that an Angel appeared to a certain Joseph Smith residing in that place, who, they say, was a poor, ignorant, illiterate man, and made no pretensions to religion of any kind; — … [section of text illegible] … of this sacred deposit, and directed him forthwith to dig up and bring to light this precious record and prophecy. They affirm that the said Smith obeyed the heavenly messenger, when lo! a new Revelation — the Golden Bible was discovered! 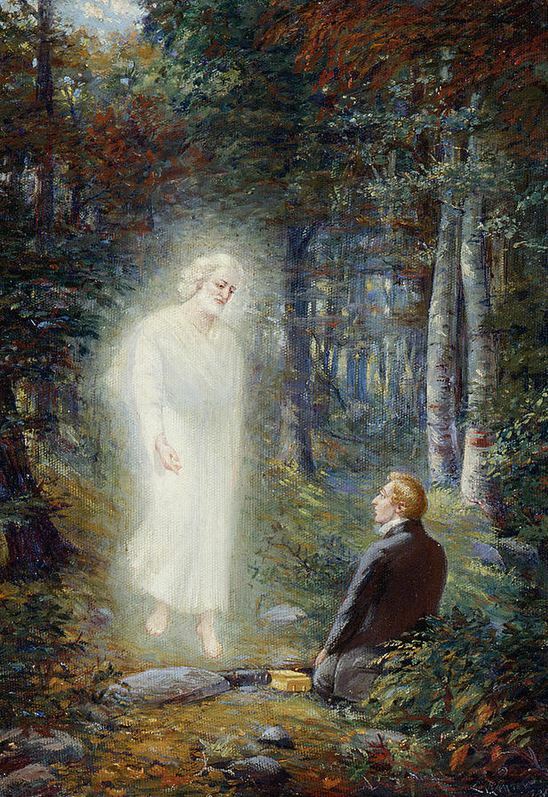 In 1827 a young man called Joseph Smith of the state of New York, of no denomination, but under conviction, [guilt & sorrow leading to repentance] inquired of the Lord what he should do to be saved-he went to bed without any reply, but in the night was awakened by an angel, whiter and shining in greater splendour than the sun at noonday, who gave information where the plates were deposited… (Catholic Telegraph 1 (April 14, 1832):204-205). … I was favored with in an interview with Joseph Smith, Jr. at the house of Peter Whitmer, in the town of Fayette, Seneca County, state of New York, in October, 1830. I called at P[eter]. Whitmer’s house, for the purpose of seeing Smith, and searching into the mystery of his system of religion, and had the privilege of conversing with him alone, several hours, and of investigating his writings, church records, &c. I improved near four and twenty hours in close application with Smith and his followers: he could give me no christian experience, but told me that an angel told him he must go to a certain place in the town of Manchester, Ontario County, where was a secret treasure concealed, which he must reveal to the human family. He went, and after the third or fourth time, which was repeated once a year, he obtained a parcel of plate resembling gold, on which were engraved what he did not understand, only by the aid of a glass which he also obtained with the plate, by which means he was enabled to translate the characters on the plate into English. (Dan Vogel, Early Mormon Documents, Vol. 1, p. 16-18). “A secret treasure” is what he called it, and Joseph’s religious questions were answered by an unnamed angel, not by Jesus. Smith’s followers and family were testifying that Joseph did not make pretensions to religion of any kind, before encountering this angel in the mid 1820’s. And what about those other stories, the ones also being told by Joseph and his family between 1823-1827? Was the account that Joseph would give later in 1832, that there was a Christian framework (not magical) surrounding his claimed visions the true one? That the only involvement that he had with money-digging was being hired for wages to literally dig for a silver mine? That his involvement with money-digging was only for “nearly a month”? Why then, did Joseph’s family, neighbors and yes, some early Mormon “saints” claim that he was heavily involved with treasure digging and magical practices for many years, and that the story of the angel and the plates being told in 1828-29 was closely intertwined with those earlier experiences? Why are the plates referred to by those closest to Joseph as “treasure” over and over again? Were the stories about a ghost and buried treasure in the “Mormon Hill” and the Smith’s pursuit of it simply lies made up after the fact by those like Abner Cole, Willard Chase, Peter Ingersol, Martin Harris and dozens of others as some apologists claim? And then we have the Mormon apologists who argue that one must agree with their view that Christianity and folk magic were inseparable or one cannot grasp what the evidence means and how Smith’s story developed. This is ridiculous for a number of reasons, which I will explore below, along with their other wild speculations about Folk Magic. What was normal or not normal during the Great Awakenings, was subjective and constantly changing and so trying to broad brush the folk magic aspect for all Americans and make the claim that treasure digging was simply an effort to restore primitive Christianity is disingenuous. When one takes the time to analyze the evidence surrounding the claims made by Joseph of having those two visions (in 1820 & 1823), many problems arise, especially concerning the claimed 1820 “first vision”. I will address those problems below and in a follow up article address the apologist arguments that attempt to explain the inconsistencies, contradictions and conundrums of his first two written histories (1832 & 1834/5); but first let’s address the historical evidence surrounding those early years (1820-1830) and the historical narrative that can be pieced together from the evidence. The journals of an itinerant Methodist preacher document much religious excitement in Joseph’s geographic area in 1819 and 1820. They report that Reverend George Lane, a revivalist Methodist minister, was in that region in both years, speaking “on Gods method in bringing about Reformations.” This historical evidence is consistent with Joseph’s description. “Sab. 16th Our Lovefeast began at 9 & the Lord was present to bless & we had a shout in the camp. Br E Bibbins p- at 11 from…the lord attended the word & the people were satisfied with the Sermons. Br. Lane exhorted and spoke on Gods method in bringing about Reffermations [sic] his word was with as from the authority of God. & not as the Areons. After him Br. Griffin with life & energy & Br. Vose closed the Meeting after with some of the Brethren dined with Br. W. E….” (Diary of Benajah Williams, 15-16 July, 1820). Benajah Williams diary, July 15, 1820, copy in Church History Library, Salt Lake City; spelling regularized. I received, on the 18th of June, a letter from Brother Hibbard, informing me that I had been received by the New York Conference, and, at my request, had been transferred to the Genesee Conference. On the 19th I attended a camp-meeting at Palmyra. The arrival of Bishop Roberts, who seems to be a man of God, and is apostolic in his appearance, gave a deeper interest to the meeting until it closed. On Monday the sacrament was administered, about twenty were baptized; forty united with the Church, and the meeting closed. I accompanied the Bishop to Brother Hawks, at Phelps, and on the 14th of July I set out with Brother Paddock for the Genesee conference, which was to hold its session at Lansing, N.Y. (Diary of Aurora Seager, 1818, The Three Brothers: Sketches of the Lives of Rev. Aurora Seager, Rev. Micah Seager, Rev. Schuyler Seager, D. D. (New York, 1880), pgs 21-22). It commenced with the Methodists “in the place where we lived” then expanded (according to Smith) to “all the sects” in “that region of the country”. It wasn’t an isolated camp meeting 25 miles from the place where he lived (Palmyra). It wasn’t a camp meeting in the summer, or two years earlier, it was a great multitudes uniting themselves to the different religious parties, and this did not happen as Joseph describes until 1824. Walters was right, and still is. Joseph claimed the whole family moved to Manchester in 1820. But this isn’t true, they didn’t all move to Manchester until 1822 after they built a cabin which they completed before starting on a “frame house” the next year. The evidence for this is incontrovertible. The fact that the Smith’s were still living in Palmyra in 1821 is supplemented by the birth of Lucy Smith in Palmyra: “Genealogy,” Manuscript History, A-1: 10 [separate section], reads, “Lucy Smith, born in Palmyra, Ontario Co. N.Y. July 18, 1821.” (Walters & Marquardt, pg. 12), and the road tax records. So two years from the time they moved to Manchester would be 1824, when the great revival with George Lane took place. We know that Joseph Smith is conflating events, but is it due to memory problems as some suggest? That will be addressed in Pt. II. December 11th and 12th our quarterly meeting for Ontario circuit was held in Ontario. It was attended with showers of blessings, and we have reason to believe that much good was done. Here I found that the work, which had for some time been going on in Palmyra, had broken out from the village like a mighty flame, and was spreading in every direction. When I left the place, December 22d, there had, in the village and its vicinity, upward of one hundred and fifty joined the society, besides a number that had joined other churches, and many that had joined no church. (Letter of George Lane, The Methodist Magazine, “Revival of Religion on Ontario District”, pg 158-60). The installation of the Rev. BENJAMIN B. STOCKTON will take place this day at the Presbyterian Meeting-House in this village. — The exercises to commence at 11 o’clock A.M. (Wayne Sentinel, February 18, 1824). WHEREAS, reports have been industriously put in circulation, that my son Alvin had been removed from the place of his interment and dissected, which reports, every person possessed of human sensibility must know, are peculiarly calculated to harrow up the mind of a parent and deeply wound the feelings of relations — therefore, for the purpose of ascertaining the truth of such reports, I, with some of my neighbors, this morning, repaired to the grave, and removing the earth, found the body which had not been disturbed. Whose “reputations” would this injure? Why did this happen to the Smith family? There is no evidence that this happened to any other families in Palmyra. I’ll explore that below. 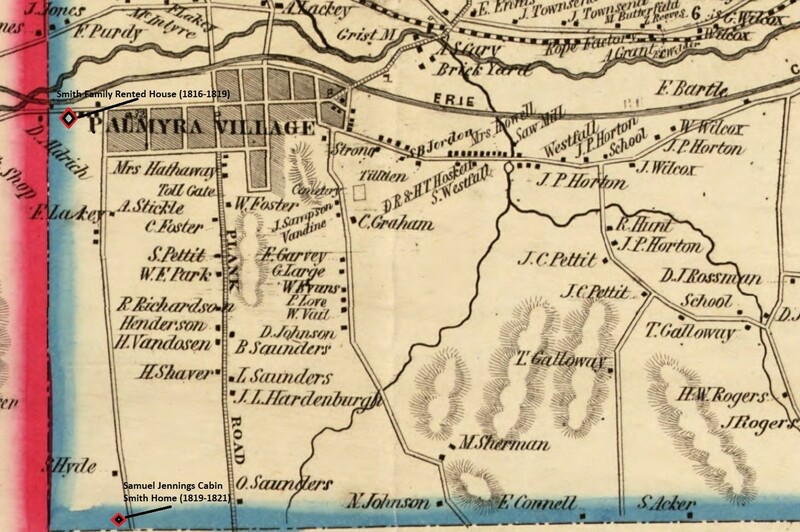 Joseph was “glass looking” in 1826, and there were no revivals in the Palmyra area as described by him in 1820, (with “great multitudes” of many different sects) and the major players in the Smith family narrative like Benjamin Stockton and George Lane were there in 1824, not before the Spring of 1820. Those like Mike Quinn and others want to claim conflation of events (1824 with 1820) but this isn’t reasonable for a number of reasons which will be discussed in Pt. II. Using that excuse is pretty much having your cake and eating it too, as is portraying Joseph as a pious magic using, money-digging prophet-in-training. Morris is right above, and yet, he (as others have before him) tries to make the argument that “treasure seeking was part of an attempt to recapture the simplicity and magical power associated with apostolic Christianity.” (pg. 10) This is simply ridiculous, people were treasure seeking because they thought they could get rich quick by doing so. Morris calls magic and Christianity “inseparable and natural allies.” Morris quotes Alan Taylor over and over again, who claims that “treasure seekers were neither fools nor deceivers”, as if every single treasure seeker was an upstanding Christian who had pure motives for going after the treasure. But those who hired themselves out as “Peekers”, they were the deceivers, and why there were laws passed to stop them from doing so. It is certainly debatable that Joseph Smith Sr. and his namesake was foolish and a deceiver. Morris also quotes Ronald Walker but leaves out that even Walker knows that the Smith’s were after treasure for their own personal greed and that in 1826 the Sr. Smith called it “filthy lucre”, and hoped that someday God would “illumine” the heart of his son Joseph! This was long after he supposedly had his two religious visions. It is more like this “attempt” to “recapture … apostolic Christianity” was just an excuse to justify what they were doing, which even Jesse Smith (Joseph Jr’s uncle) scoffed at. And those court documents which accused Joseph of being a “glass looker” in 1826, are the earliest records that have to do with Joseph Smith, Jr. and his treasure digging ever found. These records predate any that mention of the Book of Mormon by at least two years. The Stone or the Angel? One thing stands out in this 1832 History that bears mentioning. In the earlier vision that he claimed to have in his 16th year, Smith doesn’t mention any “adversary” or Satan’s power. It is probably because in the later vision that he claimed to have in his 17th year he is told by the anonymous angel that he couldn’t get the plates because he needed to “be made accquainted of with the power of the advisary”. Later, Smith reverses this and has Satan appear prior to the appearance of the deity in the earlier vision. I had a conversation with [Joseph], and asked him where he found them [the plates] and how he come to know where they were. he said he had a revelation from God that told him they were hid in a certain hill and he looked in his [seer] stone and saw them in the place of deposit. But Joseph later says that the information came from the angel, (not a “revelation”) and never mentions finding them with a peep-stone. FAIRMORMON has it backwards, and so doesn’t quote the full Harris statement where the angel only appears after Joseph looks in his stone. Harris doesn’t claim that the angel told him about the plates at all; Joseph was claiming that his peep-stones were like the “all seeing eye” of God, cloaking his magical practices in religious terminology as so many others did. What is rather hilarious is that Harris says that he would not believe Smith under oath! But this still doesn’t give them pause in using him to bolster their erroneous claim. A.-The golden plates were discovered through the ministration of an angel of the Lord, by Joseph Smith-no one else was with him at the time of the discovery. (Boston Investigator 2 (Aug. 10, 1832). An Angel appeared before me; his hands and feet were, naked, pure and white; he stood betwen the floors of the room, clothed with purity inexpressible. He said unto me I am a Messenger sent from God, be faithful and keep his commandments in all things. He told me also of a sacred record which was written on plates of gold. I saw in the vision the place where they were deposited. He said to me the Indians were the literal decendants of Abraham. It is perfectly clear that Smith was later claiming that the angel showed him “in the vision” where they were. Why? Because he was trying to hide the fact that he used a peep-stone and with it claimed to have found the plates and later used it to “translate” them. So by 1832 Smith’s story had completely changed. This is important to note going forward: Smith’s constantly changing narrative to eliminate or downplay as many treasure-digging/folk magic elements from his later angel narrative as he could. Once again, it begs the question, Why? if folk magic and Christianity were so complimentary and intertwined as the apologists claim. Smith wasn’t “restoring” Christianity for who he deemed the corrupt elites, but for the “folk” who supposedly believed in all that magical stuff. So why would he run away from it? The apologist arguments can’t explain it. It seems that the apologists feel making the above argument (treasure seeking = Christianity) clears Joseph and his family of any shenanigans in relation to peep-stones, divining rods, money-digging, magic circles and parchments, incantations, rituals, necromancy and the like. It was all simply a part of their Christian folk lore beliefs and, of course, everybody else was doing it so how bad could it be? And way, way back in Old Testament days (thousands of years ago) they were using strange objects to do things with too! Problem solved! They even claim that all these occult practices helped prepare the family to accept seeing angels sent from God, and accepting his message to young Joseph! Huggins should have drawn upon relevant scholarship, particularly Ronald W. Walker’s claim that “Mormonism was . . . born within an upstate New York matrix that combined New England folk culture with traditional religion.” And although Huggins is aware of this paper (pp. 27, 33), he fails to respond to Walker’s view that “magical treasure hunting was . . . part of the culture and religion of the folk . 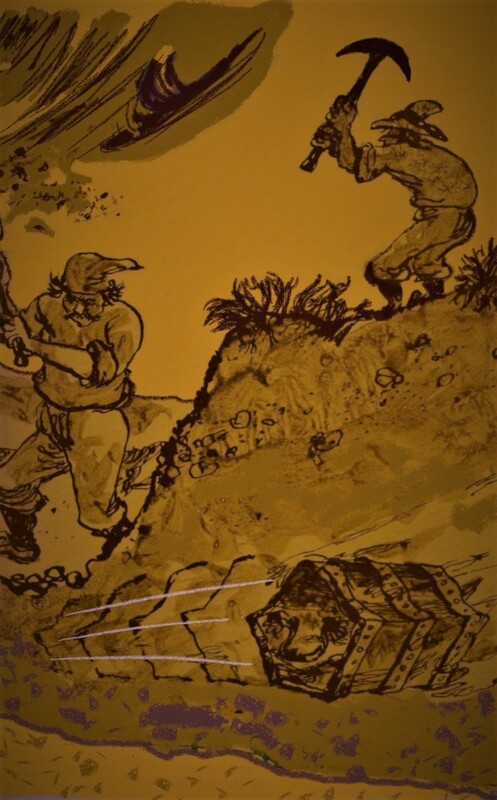 . . , a blend of humankind’s deep myths and Christian ideas.” Instead, Huggins narrows his discussion of treasure seeking to tales of Captain Kidd, introducing and concluding his article with mentions of the notorious pirate and his legendary plunder. Notice that Walker separates the two, (treasure digging and religionists) and it is the Smith’s who combine them (as do others in that sub culture) and are conflicted about doing so! And if you read Morris’ quote, so full of ellipses, you would never know that Walker believes that even the Smith’s were not comfortable mixing them. So why would Ron Huggins even need to include any of Walker’s opinions in his paper? To support apologist speculations? Is that really relevant scholarship? Let’s see. Walker quotes Joseph Smith, Sr. giving testimony at his sons 1826 Examination. This was six years after Joseph supposedly saw God and three years after he claimed the angel he later identified as Moroni/Nephi visited him. And then, of course there were the two visits in 1824 and 1825 at the Hill Cumorah. So when was the “Son of Righteousness” going to “illumine the heart of the boy”? And even after this, Joseph went back to looking for treasure! It was like those religious visions never really happened! Morris wants to have it both ways as do all the apologists who try to justify the Smith’s practicing and believing in magic rituals and practices, the supernatural spirits that supposedly guarded buried treasure, and being able to locate such treasure using various instruments like dowsing rods and peep-stones as somehow being more than a subculture (even a widespread one at times) and therefore acceptable as legitimate Christian practices. (Christianity is not Old Testament Judaism). Didn’t Christ claim he had “fulfilled” the old laws and after the “gift of the Holy Spirit” none of that was necessary any more? That it would be a much simpler gospel, like love your neighbor as yourself? But I digress. Another time perhaps. Where is it listed in any of the many Church tenets of the Universalists, or Baptists, or Methodists, or Presbyterians, or other Christian churches of the day, the instructions about divining, or peeping with stones, or necromancy, or other “folk magic” practices? 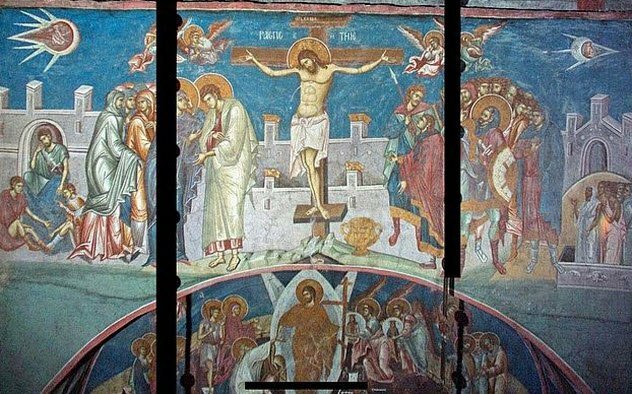 Even though some individuals might practice such things, there is no evidence that any of the Christian Churches in America were promoting such things in a widespread manner as the apologists want you to believe. It was a subculture that was widespread among all Americans, both religious and non-religious, and as we shall see below, even the Mormons turned against it and claimed such things were ‘not of God’. And if one wants to call “folk magic” a religion, well, there is the problem that God supposedly told Joseph in 1820 that all the different religions were false and to “go not after them”. And remember, after his claimed 1820 vision Joseph “…frequently fell into many foolish errors, and displayed the weakness of youth, and the foibles of human nature; which, I am sorry to say, led me into divers temptations, offensive in the sight of God.” He claims that stuff (the money-digging) was offensive in the sight of God. Ah, but having it both ways allows Joseph to do all this offensive stuff and still be a legitimate, bona fide occult dabbling prophet-in-training, right? Because he claimed to “repent” then continued to do it. And continued to do it. But now… the apologists are claiming there was nothing wrong with any of it because so many other Christians were doing their own dabbling. Since magic and religion are not different from one another (according to the apologists), Joseph then continued to ignore the heavenly visitors he claimed he was continually seeing right up until he came to possess the gold plates in 1827. Surely this instruction from God includes Professors of Methodist/magic folklore or Universalist/magic folklore or Presbyterian/magic folklore, etc. Surely it includes practitioners of folk magic who were not affiliated with any of the sects of the day and all the magical “creeds”. If one wants to claim that Smith was commanded to “go not after” only organized religions, what is the reason why God would leave out folk religion/magic? And that begs the question why would God use the abominable “Christian” folk magic to train his prophet? Was the angel directing the young prophet-in-training to go out and peep for treasure? Does that somehow make one more prolific at “translating” ancient languages? Joseph never finds anything with his occult peep-stone but when it becomes a religious “seeing stone” he can “translate” whole books of scripture! Just call it urim and thuimmim and it’s all good. Just picture the angel: Joseph you’re too greedy, go out and work on the treasure hunting some more so you can hone those peep-stone skills and “translate” these gold plates that you won’t really need to have to do the “translating”. Really? In the claimed vision though, Joseph’s God makes no distinctions. All were wrong according to Joseph though he only mentions three of the most “popular” denominations in his account. Our Painesville correspondent informs us, that about the first of Nov. last, Oliver Cowdery, (we shall notice this character in the course of our labors,) and three others arrived at that village with the “New Bible,” on a mission to the notorious Sidney Rigdon, who resides in the adjoining town. Rigdon received them graciously — took the book under advisement, and in a few days declared it to be of “Heavenly origin.” Rigdon, with about 20 of his flock, were dipt immediately. They then proclaimed that there had been no religion in the world for 1500 years, — that no one had been authorised to preach &c. for that period, — that Joe Smith had now received a commission from God for that purpose, and that all such as did not submit to his authority would speedily be destroyed. The world (except the New Jerusalem) would come to an end in two or three years. The state of New York would (probably) be sunk. Smith (they affirmed) had seen God frequently and personally — Cowdery and his friends had frequent interviews with angels, and had been directed to locate the site for the New Jerusalem, which they should know, the moment they should “step their feet” upon it. They pretend to heal the sick and work miracles, and had made a number of unsuccessful attempts to do so. The Indians were the ten lost tribes — some of them had already been dipt. From 1 to 200 (whites) had already been in the water, and showed great zeal in this new religion — many were converted before they saw the book. Smith was continually receiving new revelations, and it would probably take him 1000 years to complete them — commissions and papers were exhibited, said to be signed by Christ himself!!! Cowdery authorised three persons to preach, &c. and descended the Ohio River. The converts are forming “common stock” families, as most pleasing in the sight of God. They pretend to give the “Holy Spirit” and under its operations they fall upon the floor — see visions, &c. Indians followed Cowdery daily, and finally saw him enter the promised land, where he placed a pole in the ground, with a light on its top, to designate the site of the New Jerusalem. (The Palmyra Reflector, February 14, 1831, See also issues of the Painesville Telegraph for this period). Notice they were preaching that there was no religion on the earth for 1500 years. As we know, Joseph was to later declare that without the proper “authority” anything done in God’s name was invalid and an affront to him. But the Apologists would have you believe that there was an exception for their “Christian” folk magic and the shenanigans of Palmyra’s prophet-in-training. …he had a certain stone, which he had occasionally looked at to determine where hidden treasures in the bowels of the earth were; that he professed to tell in this manner where gold-mines were a distance under ground, and had looked for Mr. Stowel several times, and informed him where he could find those treasures, and Mr. Stowel had been engaged in digging for them; that at Palmyra he pretended to tell, by looking at this stone, where coined money was buried in Pennsylvania, and while at Palmyra he had frequently ascertained in that way where lost property was, of various kinds; that he had occasionally been in the habit of looking through this stone to find lost property for three years, but of late had pretty much given it up on account its injuring his health, especially his eyes – made them sore; that he did not solicit business of this kind, and had always rather declined having any thing to do with this business. According to this, Joseph is simply a reluctant Peeker who began his peeking right about the time he claimed that an angel visited him! His mother bragging about how her son “was in possession of certain means, by which he could discern things that could not be seen by the natural eye” was in relation to his use of a peep stone and perhaps a divining rod. McMaster sworn: says he went with Arad Stowel, and likewise came away disgusted. Prisoner pretended to him that he could discover objects at a distance by holding this white stone to the sun or candle; that prisoner rather declined looking into a hat at his dark coloured stone, as he said that it hurt his eyes. He “rather declined looking into a hat” but then “translates” the entire Book of Mormon that way. It doesn’t make much sense that God would use a training method that hurt his eyes and then require him to “translate” that way does it? And then have the young Peeker turned Prophet continue to have to use the stone to get more revelations? Why wouldn’t God just send an angel with the messages? After all, they are messengers and God had to have a lot of those on hand, right? 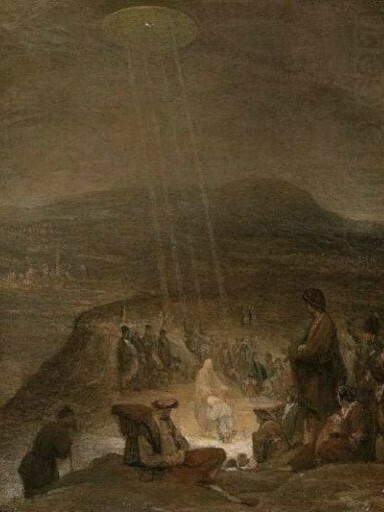 In one of the many versions of his claimed 1820 vision, Smith related that he saw “many angels” at that time. But when he needs one to help him, or protect him they can’t seem to be found. Joseph also claimed that the “spectacles” or as they are described in the Book of Mormon “interpreters” were even harder to use than his peep-stone! This also confirms Joseph had two stones that he used for such purposes. Yet as Mormonism teaches, the Bible condemns such practices. This is not a revival of the spirituality characteristic of the ancient patriarchs and prophets of Israel, but is a type of magic and spiritualistic wizardry that the true prophets vigorously opposed. …It is clearly seen from the foregoing passages [in Isaiah] that belief in astrology, spirit mediums, etc., did not constitute the true religion taught by the prophets and patriarchs, but was characteristic of the false religions practiced by the surrounding nations that had departed from the Lord. How many times have you heard Mormons quoting that scripture in relation to “priesthood authority”? And the Mormons aren’t the only Christians who do so. One Bible scholar recommended by Mormon apologists (Cornelius Van Dam) claims that, “there is no convincing evidence that the Urim and Thummim were used after the time of David.” It seems that the prophets of ancient Israel had turned away from such objects and warning others that God no longer sanctioned those practices. (Some claim that it was in anticipation of the Messiah… those pesky other Christians, the “whore” and her “children”) I’ll have more of Van Dam and the “whore” below. I have no doubt there was folk magic practiced in those days. [of Joseph Smith] Without question there were superstitions and the superstitious. I suppose there was some of this in the days when the Savior walked the earth. There is even some in this age of so-called enlightenment. For instance, some hotels and business buildings skip the numbering of floor thirteen. Does this mean there is something wrong with the building? Of course not. Or with the builders? No. Similarly, the fact that there were superstitions among the people in the days of Joseph Smith is no evidence whatever that the Church came of such superstition. (Gordon B. Hinckley, “Lord, Increase Our Faith,” Ensign, November 1987, 52-53). Now it seems, the narrative is that folk magic prepared Joseph to become a Christian prophet. And it is important to note that Joseph did not identify the angel who supposedly told him about the gold plates as Moroni until about 1835, so he will be referred to as “the angel” when discussing any earlier accounts. According to Martin Harris, an angel commanded Joseph Smith to stop these activities, which he did by 1826. No money obtained. You will find that this is always the result of the Smith treasure hunts, except of course for the gold plates that mysteriously disappeared into the hands of an angel. If it was that easy, why didn’t God just have an angel get them from Moroni and then give them to Smith? Really! When Smith lost the Harris transcript an angel appeared and took the plates and “interpreters” from Smith. He then supposedly gave them back and then Smith gave them to him again after that. Within days, [Josiah] Stowell transported the newlyweds to Manchester to board with Joseph’s parents in their frame house. How well Lucy and Emma got along is unknown, but the two undoubtedly shared some of the same attitudes toward their husbands’ drinking and money digging, both of which would become more prominent attributes of the Smith men during Emma’s brief stay in Manchester. There was no shortage of alcoholic drink at the Smith home during Joseph’s and Emma’s tenancy. One of Lemuel Durfee’s account books records the purchase of large quantities of “liquor cider” by the family during the spring and summer of 1827. Alcohol elicited more than Joseph’s anger, for Stafford reported that “when intoxicated, he frequently made his religion the topic of conversation.” When inebriated, anything Joseph had tried to repress seemed to bellow up like steam rising from a doused fire. By the fall of 1827, the Smith men had resumed their treasure-seeking activities in Manchester in company with like-minded neighbors. While little is known about these activities, both Martin Harris and Lorenzo Saunders said that Joseph Jr. directed a treasure-digging company until he received custody of the gold plates Joseph Capron, who lived on the farm immediately south of the Smiths, reported that in 1827 Joseph put a stone in his hat and located “a chest of gold watches … north west of my house.” After performing various magical ceremonies, a company of money diggers, including Samuel Lawrence, attempted to unearth a treasure, but the “evil spirit” guarding the chest succeeded in carrying it off. Joseph did not hide his well-known early involvement in treasure seeking. In 1838, he published responses to questions frequently asked of him. “Was not Jo Smith a money digger,” one question read. “Yes,” Joseph answered, “but it was never a very profitable job to him, as he only got fourteen dollars a month for it.” (Selections from Elders’ Journal, July 1838, 43). Of course he hid it. These anonymous authors can’t get anything right. Joseph claimed (over and over again) that he was only hired to dig, (as he does in his official History) he never mentions using a peep-stone, necromancy and other occult practices to locate the treasure and lost items in any history he was involved with. Smith never admitted any of this except at his Examination under oath and perhaps privately to those who knew about his past when he was drinking. The Church Essay on “translating” the Book of Mormon is filled with apologist speculations, including footnotes and references to their speculative articles. Is “Gee, I got 14 bucks a month employed as a shovel technician for a silver mine, therefore I was labeled as a money-digger” a real answer? Not by a long shot. This is how the church is “officially” dealing with this issue. Where is their official declaration or instructions in the priesthood manuals about the use of seeing stones and divining rods (No one would know by simply reading D&C 7 that it was originally about using one) and how to practice necromancy to contact the dead in search of lost treasure? Instructions on how to keep the treasure from slipping back in to the earth after you locate it and “bind” the spirit that is guarding it? How many times do we have to hear that it was OK for Joseph, but for no one else? And yet, this is how it was. And of course there are those who found veins of gold and sliver in Utah and attributed it all to the “priesthood” and to God. I saw Joseph the Prophet do, and heard him say, things which I never expected to see and hear in a Prophet of God, yet I was always able to throw a mantle of charity over improper things. (Lorenzo Snow, Statement, January 29, 1891, as cited in Dennis B. Horne, An Apostle’s Record: The Journals of Abraham H. Cannon (Clearfield, UT: Gnolaum Books, 2004), 175). Some suppose his [Joseph’s] weakness, nay, his wickedness, can form no reasonable objection to his revelations; and ‘were he to get another man’s wife, and seek to kill her husband, it could be no reason why we should not believe revelations through him, for David did the same.’ So Sidney asserted, and many others concurred with him in sentiment. (Letter of Ezra Booth to Edward Partridge, September 20, 1831). 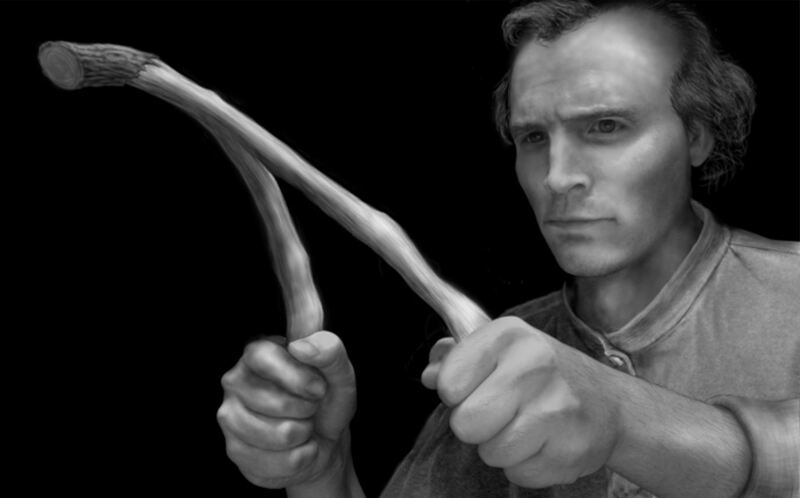 When is the next Elder, or Seventy, or High Priest going to get up in Sacrament Meeting and explain how to use divining rods and seeing stones and how to contact the dead to find lost items and buried treasure and see who you are going to marry? It was all “Apostolic Christianity” right? This affirmation of Cowdery’s use of a “rod” as a divine gift illustrates the compatibility some early Americans perceived between biblical religion and popular supernaturalism. “From the outset,” according to historian Robert Fuller, “Americans have had a persistent interest in religious ideas that fall well outside the parameters of Bible-centered theology. . . . In order to meet their spiritual needs . . . [they] switched back and forth between magical and Christian beliefs without any sense of guilt or intellectual inconsistency.” (Robert C. Fuller, Spiritual, but Not Religious, Oxford University Press, 2001,15). The combination of individualism and rationality leads to a third component which is a common factor in each of the spirituality movements: the recurring rejection of established religion for being too doctrinaire and restrictive. His survey is quite comprehensive and includes just about every movement and its seminal founders… My appreciation for this fascinating chronicle of the development of spirituality within the US soured somewhat in the final chapter… Within every category, however, organized religion receives a lower score than spirituality. It felt like, mirabile dictu—Fuller the engrossing historian, morphed into an evangelist for spirituality. Even so, it is one of the best evangelical pamphlets (200 pages) I have seen on spirituality. The Joseph Smith Papers editors pretty much cherry picked Fuller because he’s an advocate of “folk magic”, or Spiritualism. The very thing that made Spiritualism appealing to Colonial Americans was that they were not confined by “organized religion” and its rules, but this is where Smith went with his own religion. I dont want to be ranked with that committee I am a committee of myself, and cannot mingle with any committee in such matters. The station which I hold is an independant one and ought not to be mingled with any thing else. Let the Committee get all the droppings they can from the presence of God and bring it to me, and if it needs correction or enlargement I am ready to give it. The principles by which the world can be governed is the principle of two or three being united. Faith cannot exist without a concentration of two or three. The sun, moon and planets roll on that principle. If God the Father, the Son and the Holy Ghost were to disagree, the worlds would clash together in an instant. He referred to brother Lot [Cornelius P. Lott] and his farming & said God would prosper him because he gets his mind right. When I get any thing from God I shall be alone. I understand the principles of liberty we want. I have had the instructions It is necessary that this council should abide by their instructions. From henceforth let it be understood that I shall not associate with any committee I want every man to get knowledge, search the laws of nations and get all the information they can. There can be no exceptions taken to any thing that any man can say in this council. I dont want any man ever to assent to any thing in this council and then find fault with it. This was anathema in the church that Smith set up. And does this still go on even today? Sure, as we will explore below. But it is not as rampant as it was before the Second Great Awakening and the rise of the Age of Reason. 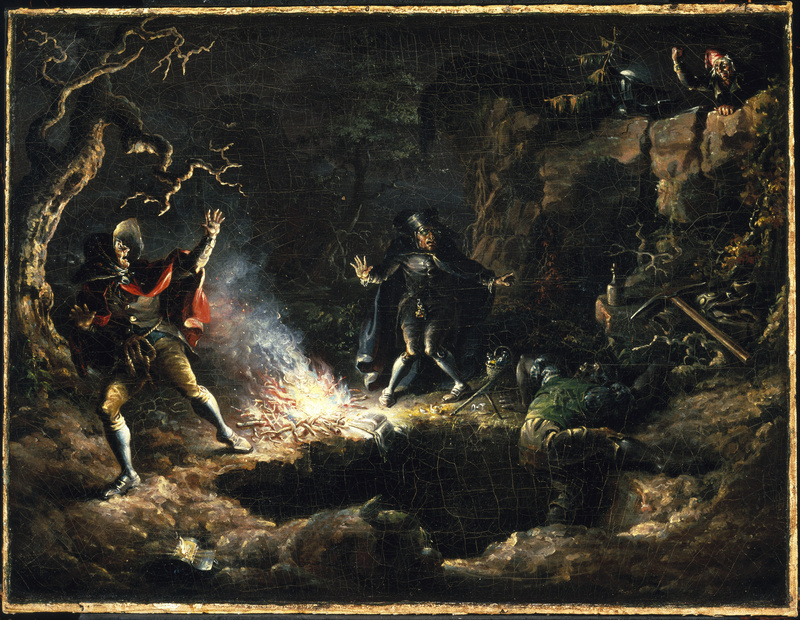 (c. 1790) According to Fuller, this coincided with the decline of folk magic practices among the Christians. It is important to note that Smith hid and rejected his folk magic roots as he organized his church and developed his theology. The period of time between his two visions he characterized as a time of folly and mistakes, which he claimed to have repented of before the second vision of the angel. Churched and unchurched religiosity have factored about equally in American’s understanding of the supernatural since the nation’s beginnings. The exact relationship between the two varied person by person. It seems that on the whole most people saw magic and Christianity as distinct, but complimentary. Of course there is considerable scholarly debate. So claiming that Ron Huggins didn’t use “relevant scholarship” was in the eye of the beholder, or simply Morris’ opinion and irrelevant to what Ron wrote. It would be including speculation that can never be tied to the Smith’s because no one knows exactly how Joseph himself viewed folk magic in relation to Christianity. But what we see in the evidence is that he continued to lie about his youthful involvement in it. And when he was a Methodist Exhorter, was he telling them all about his peep-stone, or when he tried to join the Methodists in Harmony, did he brag about his treasure digging past? – as it should not have been a problem according to Mormon apologists. According to the Lewis brothers, when confronted about his involvement in the occult, Smith walked away from the Methodists. So really, what the Mormons need to say, (that they won’t say), is treasure digging was, perhaps, in the minds of some individuals (how many we will never know, but there is no evidence it was widespread) an effort to recapture the power of apostolic Christianity. And even this is debatable among historians. So is all this relevant to Smith’s treasure digging? No, because there is absolutely no evidence that the Smith’s connected the two in any meaningful way, and there is actual evidence that Smith rejected all religion (including folk magic) except what he would later “restore”. And precious little of what he was doing in the 1820’s became widespread approved practices in his church. 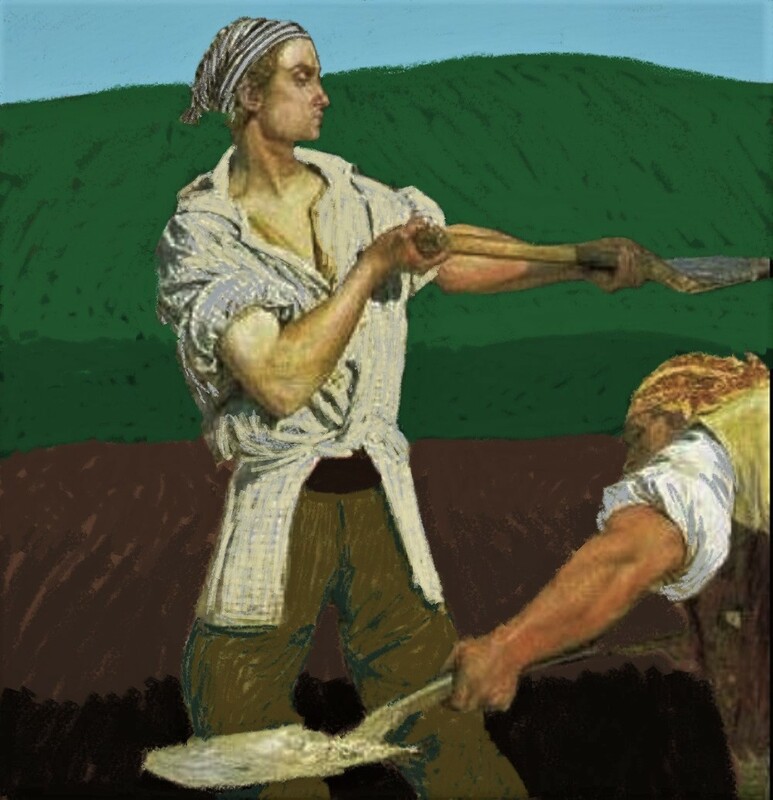 Treasure digging may have been a widespread subculture in early colonial America, but there is no way to know what the motivation of most individuals was except the obvious (to get rich), and there was so much fraud and conning going on in relation to it that laws were passed making what Smith was doing (“Juggling” or pretending to peep for treasure) illegal. The Holy Ghost is a personage, and a person cannot have the personage of the Holy Ghost in his heart. A man receive the gifts of the H. G., and the H. G. may descend upon a man but not to tarry with him. How does the “power of God” cause a sprout “to be with you”? Because that is not what it says in the original. (The “sprout” was already with him) It says that God was the only one who could make this “thing of Nature to work in your hands.” Calling it the “gift of Aaron” is ridiculous. No one would have any idea what this “revelation” is now talking about. If they were so proud of folk magic and using the implements of it, why was this changed so soon after it was originally given? This is “restoring” Apostolic Christianity? And today, they do not have the original “revelation” in the current Doctrine and Covenants, (only a note that Sidney Rigdon changed the word “sprout” to “rod”) but instead have a changed, obscure “revelation” in its place. In no way do they give an adequate explanation for why this “revelation” was changed, (they tell you to go to Fuller’s Book and to Ashurst-Mcgee’s article!) and they have a link to an article that has some of the text of the original “revelation” and pretty much gives the same information that the JSP give (the changes to it, not the reason why it was changed). The Stone or The Holy Ghost? The revelations in the Book of Commandments up to June, 1829, were given through the “stone,” through which the Book of Mormon was translated. …After the translation of the Book of Mormon was finished, early in the spring of 1830, before April 6th, Joseph gave the stone to Oliver Cowdery and told me as well as the rest that he was through with it, and he did not use the stone any more. (David Whitmer, Address, 32, 53). This begs the question if Joseph/God was instructing others what the “spirit of Revelation” was, (which was being told “in your mind & in your heart by the Holy Ghost,”) then why was Joseph getting revelations by way of his seeing stone and why did he continue to do so and not follow his own instructions? It seems that as soon as someone else had “revelations” through a peep-stone that rivaled Smith’s, he decided that divining rods and peep-stones needn’t be the subject of any “revelations”. What was done about these occult practices in the Mormon church was all… arbitrary. If Joseph did it, it was all right. But let others practice “folk magic” and it was very problematic. We all know about Hiram Page, but what about the case of James Brewster, a young boy who claimed he was given a patriarchal blessing that he would be a “Seer, Revelator and Translator” by Joseph Smith, Sr., in the Kirtland Era? He and his family were condemned by Joseph Smith for using a seeing stone and producing what Brewster called “An Abridgment of the Ninth Book of Esdras”, in the which he claims that the Church needed to remove to California to escape the judgments of God. We have lately seen a pamphlet, written, and published by James C. Brewster; purporting to be one of the lost books of Esdras; and to be written by the gift and power of God. We consider it a perfect humbug, and should not have noticed it, had it not been assiduously circulated, in several branches of the church. This said Brewster is a minor; but has professed for several years to have the gift of seeing and looking through or into a a stone; and has thought that he has discovered money hid in the ground in Kirtland, Ohio. His father and some of our weak brethren who perhaps have had some confidence in the ridiculous stories that are propagated concerning Joseph Smith, about money digging, have assisted him in his foolish plans, for which they were dealt with by the church. They were at that time suspended, and would have been cut off from the church if they had not promised to desist from their ridiculous and pernicious ways. Since which time the family removed to Springfield, in this state; and contrary to their engagement have been seeing, and writing, and prophecying, &c. for which they have been dealt with by the Springfield church. The father of the boy has very frequently requested an ordination; but has been as frequently denied the privilege, as not being considered a proper person to hold the priesthood. According to the Times & Seasons notice, the moneydigging stories in relation to Joseph Smith and his family were classed as “ridiculous”, and what the Brewesters were doing was “pernicious”. This is integrating folk magic practices into the church? Hardly. And once again, condemnation of “seeing stones”. And we know that Joseph had a number of stones and that it was claimed that he used one to “translate” the Book of Abraham. Where is the “common consent” in accepting that as a “revelation” from God? When did the church members in Nauvoo ever vote on the Book of Abraham? Why didn’t Joseph present the Book of Esdras to the Church for a vote? Instead, it was immediately dismissed by the prophet and the article in the Times & Seasons ridicules it in the worst way as something beneath notice while the Book of Abraham was touted as a bona fide revelation and printed in the Times & Seasons. As the writer of this notice did not favor the public directly with his name, I shall not pretend to say who it was, although I have good reason to believe it was written by Joseph Smith, or at least by his direction. Firstly. The writer says he considers it a perfect humbug; but before the pamphlet was printed the manuscript was taken to Joseph Smith; he had it in his possession six days; and, at that time, he stated that he enquired of the Lord concerning it and could not obtain an answer. Since then, he told certain individuals that he did receive an answer that it was not of God. Secondly. He says Brewster is a minor, but has professed for several years to have the gift of seeing and looking through or into a stone. Now, as for my “seeing and looking through or into a stone,” it is a perfect falsehood, and Joseph Smith and many of the first presidents of the church know it to be false, and at the same time knowing that they could not bring any thing against our moral character have endeavored to injure us by publishing these falsehoods. Thirdly. And he has thought that he has discovered money hid in the ground in Kirtland, his father and some of our weak brethren who perhaps have had some confidence in the ridiculous stories that are propagated concerning Joseph Smith about money digging, have assisted him in his foolish plans. This is a little nearer the truth than the second statement. The fact IS that my father ever regarded money diggers with the utmost contempt, but believing in the Gospel as preached by the Mormons, and, becoming a member of that church, removed to Kirtland, Ohio, While residing at that place Joseph Smith Sen’ the Prophet’s father, with others of high standing in the church, came to see us, and stated that they knew there was money hid in the earth, that it was our duty to assist in obtaining it, and if we did not the curse of God would rest upon us. We were foolish enough to believe them, not knowing at that time the weakness and folly of those men. They also told us concerning their digging for money in the state of N. Y., and that the places where the treasures were deposited were discovered by means of the mineral rods and a seeing stone; likewise to prevent the Devil deceiving them they anointed the mineral rods and seeing stones with consecrated oil, and prayed over them in the house of the Lord in Kirtland, and then sent a man into the state of N. Y. to obtain the money that was supposed the mineral rods pointed out, but they found no treasure and returned empty. Soon after this interview, I and my father were requested by J. Smith, Sen’r and Eld. Beaman to come to the house of the Lord. We went in and the door was locked; — after some conversation with J. Smith Sen’r, Beaman and Holeman. Eld. Beaman called upon the Lord — they then proceeded to lay their hands upon my head and pronounced a blessing upon me, in the name of the Father, Son, and Holy Spirit, and sealed it up on me by the power of the Holy Priesthood, which they held, J. Smith Sen’r then acting as first President of the Church in Kirtland. The prophetic blessing was that I should be a Prophet, a Seer, a Revelator and Translator, and that I should have power given me of God to discover and obtain the treasures which are hid in the earth. The men above mentioned, went with me and my father several times in pursuit of the money, but it was not obtained. Joseph Smith Sen’r and Beaman, being old and feeble, thought best to remain in the Temple, while the remainder of the party went to dig. John and Asel Smith joined with those who remained in the Temple to pray and continue their supplications until a very late hour; this was repeated several times, and at length afraid of being discovered in the Temple they retired to a barn in a remote part of the town, and continued there the most part of the night, still no treasure was obtained. By this time my father was convinced that we should not succeed, and then gave up the business entirely. All this was carried on privately, being understood only by those concerned. Soon after this my father and his family, Kid. Norris and his family, in company with several others, members of the church, who were knowing to what had transpired, were dealt with by the High Council and Church in Kirtland— Joseph Smith Sen’r then acting as First President of the Church, and his brother John Smith First President of the High Council in Kirtland. The Brewsterites, as we were called by the Church, were all condemned, although many of the Counselors by whom they were condemned, had been engaged with us in the money digging business. The writer in the “Times and Seasons” now says that “my father was assisted” by some of ”our weak brethren.” This is true, but he must remember that the names of those weak brethren are as follows: — Joseph Smith sen’r, John and Asel Smith, Eldr Beaman, then President of the Elders’ Quorum, Joshua Holeman, and many others, of high standing in the Mormon Church whose names we can produce if occasion requires. He also says it was those who had “some confidence in the ridiculous stories that are propagated concerning Joseph Smith about money digging.” The following are the reasons we had for believing the stories. 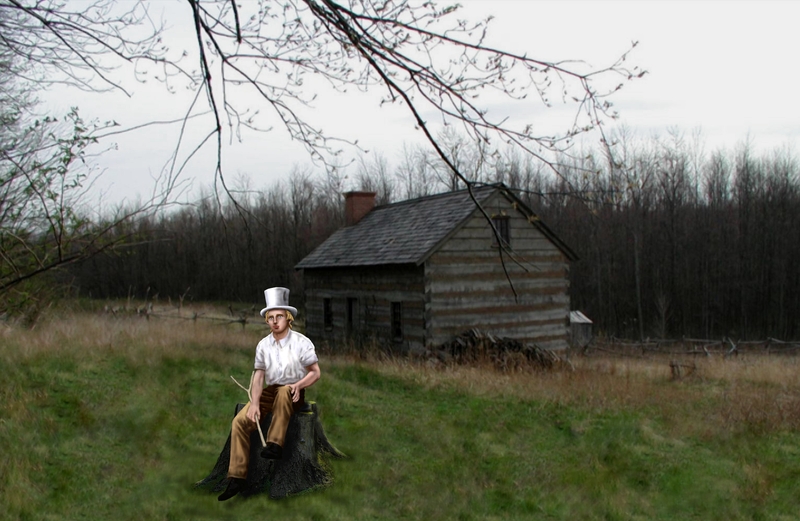 In Kirtland, Joseph Smith sen’r, the Prophet’s father, said in Council: I know more about money digging, than any man in this generation, for I have been in the business more than thirty years.” Father Smith, in private conversation with my father, told many particulars, which happened in N. Y. where the money digging business was carried on to a great extent by the Smith family. The writer of the article in the “Times and Seasons’- calls it a ridiculous and pernicious practice. I would ask him who was the author of this practice among the Mormons? If he has a good memory, he will remember the house that was Tented in the city of Boston, [Salem] with the expectation of find ing a ‘large sum of money buried in or near the cellar. If he has forgotten these things, I have not. And, if he is not satisfied with what I have written, he can have the remainder shortly. Fourthly. The writer of the article says, that contrary to their engagements they have been seeing, writing, and prophecying, for which they have been dealt with by the Springfield church. The father of the boy has frequently requested an ordination, but has as frequently been denied the privilege, as not being considered a proper person to hold the priest-hood. We were dealt with by the Springfield church. But the only thing found against us was that we had not joined that branch of the church, and supposed we had not acted wisely in all things. As for the ordination, my father has been ordained by the order of JOSEPH SMITH, without his requesting It, under the hands of J[ames]. Adams, High Priest and Patriarch; Elder Mariam, President — both of the Springfield church. Fifthly. To close the notice the writer adds “we have written the above for the information of the brethren. '” I would only say that the information it contains is very incorrect, and I would advise the Editors of the “Times and Seasons” not to publish any more information concerning us except it is written by one who regards the truth. I have written the above that the people may know who the ”weak brethren” are that assisted us in the money digging business. The Mormons may deny it, but every word it contains is true; and I might have written much more, but I think it unnecessary. But if the Mormons publish another line of falsehood concerning us, they shall have the history of the money diggers from the beginning. Below will be found my father”s certificate, which goes to corroborate the statements I have given. T, Z. H. Brewster, do hereby certify, that the above account of the money digging business is true. In the year 1837, in the month of May or June, we commenced the money digging under the kind care and protection of Joseph Smith sen’r, then first President of the church of Latter Day Saints. and, according to my best recollection, the foregoing statements are strictly true. I also believe the Gospel that is attended with the power and gifts revealed in the New Testament, and Book of Mormon. I also believe that God works by whomsoever he will, and reveals himself to all who faithfully serve him. I have no reason to believe that Nauvoo is a place of safety, but have every reason to believe that California is. I also believe that the pure in heart, and those who are desirous to serve God, will soon leave Nauvoo, that God may destroy the wicked and ungodly inhabitants thereof. I believe that Joseph Smith was called and chosen of God to bring forth the Book of Mormon, and to establish the church of Latter Day Saints. But I do not believe that the spirit of God will remain with him since he has forsaken the ways of truth and righteousness, and is now preaching and practicing those things which he in the beginning taught to be the works and inventions and secret combinations of the Devil, (see Book of Mormon, 3rd Edition — pages 320 and 538.) I also believe that ail liars, adulterers, fornicators, and whore-mongers shall have their part in the lake that burns with fire and brimstone, which is the anger of the Lord. Now they are praying over the rods and stones and anointing them with oil and taking them to the temple to help make them work. This (of course) was common to many money-diggers: to claim that their “gifts” were sanctioned by God, and to use some kind of religious ritual or prayer in their incantations or peeping. I found it interesting that Joseph Smith (if he was the one that wrote about the Brewster’s in the Times & Seasons), assumes that James used a seeing stone to get “revelations” or locate treasure, but James denied that he did. It seems that Brewster got his “revelations” through the Holy Ghost. A mark is a mark and there were many Christians who desired money or were in debt, as well as others. These kinds of “magical” and pseudo Christian practices are still going on even today. (See below about the lottery and the modern use of divining rods). The “Saints” at the time were led to believe that these things would actually happen if they were “faithful” and that they were indeed within the realm of possibility. We all know that is was simply invention and false hope, as neither Smith Jr. nor Sr. were actual prophets, which is easily proven by their own pronouncements. (No one can turn into a shadow, or “translate” themselves to other planets and no Latter Day Saint who was promised they would live to see the Second Coming ever did. There are dozens of other examples of these failed prophecies and blessings. There certainly is no crime in proclaiming to be a prophet or in spouting all the prophecies you can think up, nor in believing in those who claim to be. What Smith prophesied was that in “not many years” the “United States shall present such a scene of bloodshed as has not a parallel in the hystory of our nation pestalence hail famine and earthquake will sweep the wicked of this generation from off the face of this Land to open and prepare the way for the return of the lost tribes of Israel from the north country—” Of course, this never happened in Smith’s generation nor any generation since then. Zion was never redeemed and the Mormons blamed the people of Missouri, and also the United States Government. So when a group of immigrants (who were thought to be from Missouri) were making their was through Utah Territory to California were ambushed at Mountain Meadows by Mormons and Indians, they picked September 11, 1857 to murder them. The 144 acre farm was deeded over to Joseph Smith in 1834. Most of the “revelations” and “commandments” above were never canonized like a lot of other instructions and mundane items from the same period. Joseph Smith Jr. condemns the use of a seeing stone, something he was doing himself and showing to others in private. One must ask, why all the secrecy surrounding the use of such magical practices since they were supposedly absorbed into “official practice”? Why didn’t Joseph publish how he “translated” the Book of Abraham in 1842, and that he used a seeing stone (Urim and Thummim) as Wilford Woodruff claimed? The “official” Urim and Thummim (the spectacles) were supposedly given back to the angel. There are no accounts of Joseph teaching others to use the Urim and Thummim (the “interpreters”) or that it was a sanctioned practice in the church. No one but Smith ever claimed to have used the “interpreters” for anything, and it seems that for all of God’s elaborate preparations, Smith really didn’t need them. It”s almost as if they never existed at all, though he did continue to dabble with peep-stones, but only Joseph could use them to get “revelations” as we shall see even though he said everyone should have one. We don’t see such practices absorbed into the Mormon Church of Joseph’s day, and when others “peeped” in the Utah Territory, they too, were discouraged, or ostracized or condemned by the “Priesthood”. We were informed that Brother Burgess met them in Salem, evidently according to appointment, but time had wrought such a change that he could not for a certainty point out the house, and soon left. They however, found a house which they felt was the right one, and hired it. It is needless to say they failed to find that treasure, or the other gold and silver spoken of in the revelation. Burgess could not tell them what house it was, but they still found it? How did Joseph find the house? An interesting question. Some have speculated he used his peep-stone, which is possible. And they did rent a house (as Robinson reported) but they never did have the city given into their hands, or it’s wealth of gold and silver. And out of all the things he could have said to Emma about Salem, Joseph mentions to her the “great object of our mission” which was finding buried treasure. And even if they did not rent the house they thought the treasure was in as Robinson thought, they never went back for the treasure. I mean, God promised them this treasure so why not return in a few months and obtain it? It almost sounds like another peep-stone adventure, with the promised treasure slip, slip, slipping away. An apt bookend to the Salem venture, is a “Prospectus” about the trip written and published by Oliver Cowdery just a few months later in the Latter Day Saints Messenger and Advocate. (Where they glean some of the information written in the Manuscript History). “Party strife and party animosity” to be sure. I admit, the hypocrisy is truly stunning. And as for the great object of their mission to Salem that Smith spoke of to Emma? Cowdery doesn’t mention it at all. If this were all about other treasures besides gold and silver as the apologists claim, why not mention the “revelation”? And of course this important “revelation” about Salem and its treasures was never canonized. Magic Is Still Not of God? Not Even A Little? Following a meeting of the Quorum of the Twelve, at a quarter to 12 o’clock H. C. Kimball and D. H. Wells called. H. C. Kimball said this made me think of the time when I returned from England. Joseph was present and the presidency of the Seventies. They had met with a seer stone to see what they could see when I went in. Z. Pulsipher said, don’t be excited; Brother Kimball is nothing but a man. They treated me very cooly and I went home and wept and the Twelve all rose up and shook hands with them and received them joyfully. 0. Hyde explained to Brother Kimball and Wells what we had done, and would like to hear from them. Brother Kimball said, I consider every ruling man in the Church that has the Holy Ghost as a prophet, seer and revelator, and he should have the spirit of that office. Of course they would believe that there were “natural” prophets, else how could Joseph Smith have found the treasure of Cumorah with his peep-stone? It appears that when they were trying to “see what they could see”, Kimball interrupted them and Zera Pulsipher had to proclaim that he was only a man, implying that they were trying to contact the dead through the stone. It appears that Kimball wasn’t too thrilled with this story as he told his audience that he considered “every ruling man in the Church that has the Holy Ghost a prophet, seer and revelator and he should have the spirit of that office.” Not a ringing endorsement of peep-stones and perhaps one reason why neither he nor Brigham Young used them. I met with the Twelve at Brother Joseph’s. He conversed with us in a familiar manner on a variety of subjects, and explained to us the Urim and Thummim which he found with the plates, called in the Book of Mormon the Interpreters. He said that every man who lived on the earth was entitled to a seerstone, and should have one, but they are kept from them in consequence of their wickedness, and most of those who do find one make an evil use of it; he showed us his seerstone. (Brigham Young, Manuscript History of Brigham Young, 1801-1844, ed. Elden Jay Watson). Meeting was Opened by Prayer by the President. It was Unanimoulsy carried that no such thing as Magic, Fortunetelling, Witchcraft or any such devices should be allowed in the Church. And that fellowship would be withdrawn from any who used or caused to be used any of the aforesaid things. It was also moved and carried that a letter of recomendation be presented to Elders, W. Woodruff and G. A. Smith. (Sunday, March 28, 1841). What are we to make of this? Why is what Mountford did “the Black Art”? Is it the same as with “revelations’, they can only come through the leader of the church? Then why did Smith claim that everyone has a right to a seeing stone and to use one? Was Mountford claiming to speak for the church anywhere? I don’t see that. I want to advise the young ladies, while upon this subject, not to follow after peep-stone women, fortune-tellers, or those claiming to have a familiar spirit, to get them to tell you the kind of a husband you will marry, or you young men the kind of a wife you will get. (Conference Report, Sunday, April 6, 1902). He calls it idolatry and claims that the “nations of the earth” were also “driven to darkness” by such occult practices. Taylor actually tells the “Saints” to go to their Patriarch to get such information, but when has a church patriarch ever told anyone which husband or wife they were going to marry? My own patriarchal blessing simply said that I would “leave seed in the earth”, but I never had any children, much to my relief. No wonder people sought out the Peekers. They probably made things much more interesting. But… here’s an interesting response from “Ask Gramps” about this very subject. As you might suspect, he’s not down with the idea that patriarchs do any such thing and advises the young woman who asked to “change your approach”. And did Joseph give up his treasure digging in New York because he felt it was more “cultured”, or because he kept getting hauled before courts of law for doing it? And notice that they also show that the Church Essay is wrong, he didn’t quit doing it in 1826, this has him quitting in 1828! But we know that he didn’t stop looking in his stone, (per multiple accounts) or looking for lost treasure ten years later as the Salem “revelation” shows. Woodruff was all about using home remedies, which many were in his day, but he wasn’t down with peep-stones and fortune telling; (unless it was Joseph) and Mountford used Christian prayers in the name of the Christian God as he summoned the Spirits of the Almighty with his stones. This shows that the home remedies and other mundane practices some call folk magic were not considered so by Woodruff. Still Woodruff claimed it was all “not of God”. I suppose poor Wilford was simply confused also and his authority as an Apostle meant nothing (even though he had the ultimate authority overseas). It’s kind of routine for Mormon Apologists to throw former authorities under the bus if they get in the way of their pet theories. Smith himself claims that he was visited by the angel and got the plates immediately afterwards in 1827. He was in a “backslidden state” until the visit of the angel in 1827 (four years prior to 1831). It seems that Joseph was condensing his story and obscuring the dual visits of the angel. It is even possible that Joseph was formulating the new story of seeing Jesus when he was sixteen. This could not be an “allusion” to 1820 or be speaking of the angel’s visit in 1823, because in 1823 Joseph did not get the “power’ to “translate” the Book of Mormon (the interpreters): that happened in 1827, and at this time that was the focus of the story they were all telling, that an angel appeared to Joseph in 1827. Having repented of his sins, but not attached himself to any party of Christians, owing to the numerous divisions among them, and being in doubt what his duty was, he had recourse prayer. After retiring to bed one night, he was visited by an Angel and directed to proceed to a hill in the neighborhood where he would find a stone box containing a quantity of Gold plates. The plates were six or eight inches square, and as many of them as would make them six or eight inches thick, each as thick as a pane of glass. They were filled with characters which the learned of that state were not able to translate. A Mr. Anthony, a professor of one of the colleges, found them to contain something like the Cyrian Chaldena or Hebrew characters. However, Smith with divine aid, was able to translate the plates, and from them we have the Mormon bible, or as they stated it, another Revelation to part of the house of Joseph. This is not how Smith describes the events in later accounts which we will discuss in Part II. (He adds another, earlier vision and the “backsliding” then takes place between that vision and the one with the angel which is then firmly dated to September 22, 1823). But notice that Smith has every opportunity to relate the story of the claimed 1820 vision to Nancy Towles, but does not. And yet, a few months later (Feb. 1832), Joseph and Sidney Rigdon have a vision in which they claim to see “the glory of the Son” on the “right hand” of the Father. This vision was spoken of openly and published in July of 1832. Joseph continued to change his story, and would continue to do so even after it was published in the Times and Seasons. First—That if anything of value should be obtained at a certain place in Pennsylvania near a Wm. Hale’s, supposed to be a valuable mine of either Gold or Silver and also to contain coined money and bars or ingots of Gold or Silver, and at which several hands have been at work during a considerable part of the past summer, we do agree to have it divided in the following manner, viz. : Josiah Stowell, Calvin Stowell and Wm. Hale to take two-thirds, and Charles Newton, Wm. I. Wiley, and the Widow Harper to take the other third. And we further agree that Joseph Smith, Sen. and Joseph Smith Jr. shall be considered as having two shares, two elevenths of all the property that may be obtained, the shares to be taken equally from each third. Second—And we further agree, that in consideration of the expense and labor to which the following named persons have been at (John F. Shephard, Elihu Stowell and John Grant) to consider them as equal sharers in the mine after all the coined money and bars or ingots are obtained by the undersigned, their shares to be taken out from each share; and we further agree to remunerate all the three above named persons in a handsome manner for all their time, expense and labor which they have been or may be at, until the mine is opened, if anything should be obtained; otherwise they are to lose their time, expense and labor. Township of Harmony, Pa., Nov. 1, 1825. Joseph signed this document about a month after he supposedly met with the angel at the hill Cumorah for the third time. Joseph was being paid by Stowell and it was to be borne by him and others as an “expense”. And if a treasure happened to be found, the Smith’s would benefit from that, as well. And he was looking for the treasure by means of scrying, which was illegal. This wasn’t religious, this was searching for “filthy lucre” as Joseph Smith Sr. confessed to a judge at the 1826 Examination. Every time that Joseph used his supposed “seeric” power to search for buried treasure or lost objects, he was breaking the law, and the law uses such language as “pretending” for good reason. This means if you went around and claimed to be able to discern things that could not be seen by the natural eye, you were disorderly and breaking the law. I’ve read so many Mormon apologists argue that well, Josiah Stowell believed that Smith could actually see things in the earth, kind of like Superman with his X-Ray Vision, except he needed the help of a peep-stone. And so Joseph did nothing wrong, it was all Josiah Stowell’s idea. But that’s not how the law works. Stowell’s belief did not give the Smith’s a free pass to break the law. This is the prophet-in-training who was yearly meeting with an angel of God to learn how to run his kingdom? And this idea that it makes any kind of difference whether Joseph was found guilty in 1826. It doesn’t matter because we know he did what they claimed he did, he pretended to be able to find buried treasure, silver mines, etc. with a peep-stone and was getting paid for it. Smith was breaking the law. Juggling. Claiming that well, everybody else was doing it, matters not at all. Is this not a treasure digging yarn written right into the Book of Mormon? It has all those exciting demonic elements of a treasure digging yarn: the disappearing swords and tools, and the slippery treasures that are swallowed up in the ground because of the curse of the land as the demons and angels close in to destroy their souls. Probably the quality which most distinguished American treasure digger was his acceptance of the old cultural system that rapidly was passing into obsolescence almost from the founding of America’s first settlements, many community leaders rejected money digging. Seventeenth century puritan clerics such as Cotton Mather and John Hale called the wise men “devils’ priests and prophets” and their practices “witchcraft” Following European practice, the clergy’s long-standing opposition was given the force of law. A New York statute, for example, enjoined “all jugglers, and all persons pretending to have skill in physiognomy palmistry or like crafty science or pretending to tell fortunes or to discover where lost goods may be found while observed lightly or more often in the breach (Joseph Smith was tried at least once for his money digging but was apparently neither fined nor imprisoned), such laws and the clerical animosity that lay behind them created in the minds of many educated men and women a dark and unsavory image of money-digging that often became caricature. No one ever found any buried treasure by way of peep-stones and divining rods and went around digging and peeping without wanting to be compensated for it. But there is coincidence and a broken clock is correct twice a day, especially when the Three Nephites are on the prowl. There was also a spiritual, or spiritualist, dimension to their [The Godbeites] dissent. In October 1868 Godbe and Harrison traveled to New York City, ostensibly for business and recreation. They apparently used the occasion to seek direction from a spiritualist medium, Charles Foster. Fifty seances followed, confirming their religious doubts and mandating a radical restructuring of Mormonism. “The whole superstructure of a grand system of theology was unfolded to our minds,” Harrison later wrote. The system included a devaluation of the Book of Mormon and Doctrine and Covenants, and the rejection of a personal deity, the literal resurrection, and the doctrine of the atonement. Spiritualism was almost a perfect solution for the Godbeite doubters. Its parallels with Mormonism eased the pain involved in their transfer of commitment. Both movements affirmed the eternal nature of the individual and taught the validity of spiritual experience. Each had an upstate New York genesis. Moreover, their new spiritualistic view allowed Godbe and Morrison to validate their previous religious experiences. These now seemed mere preliminaries to their new, higher revelation. There also was an additional advantage: nineteenth-century spiritualism had a liberal, intellectual content that fit the Godbeite mood. And haven’t we come full circle here? Young opposing the spiritualism that Mormonism supposedly sprang from! This is what the Christians of the day (who Walker calls “elites”) were doing with the magic practices embraced by many in New York, including Joseph’s neighbors. They didn’t accept that magical treasure digging and necromancy was from God, it was all superstition – a counter culture movement that began to decline soon after it began to flourish in places like New York’s burned over district. Yet, they still participated in it, as many do today with the lottery, or by way of prosperity gospels. And it must be noted that Young’s point here, is that without the Mormon Priesthood, what was being practiced was counterfeit. Joseph supposedly did not receive the priesthood until 1829, and that is why God supposedly told Joseph to “go not after” them. And of course Young and Kimball had to invent the “natural prophet” who had power outside of the priesthood to account for what Smith was doing before he restored it. And yet, those like Houdini proved it was all a hoax. Where was Young and others “gift of discernment’? What is very interesting is that when Houdini came up against the Medium Margery, who used all kinds of tricks to try and prove she was a real psychic, she failed when Houdini placed her in a fool proof box where she could not manipulate objects. But they found a way to sabotage Houdini’s precautions, and many people believed she was a true medium. If people want to believe, they will, even when they are proven frauds. And why would Joseph doing those same things be any different? He didn’t have any priesthood in the 1820’s. He didn’t have any of those laws of God to guide him. And if he did, when he was supposedly talking to the angel every year for four years, he didn’t act like he did. Smith later claimed that the angel (later identified as Moroni) would reveal to him the priesthood, but all we see Smith doing during those four years is digging for buried treasure and getting arrested for doing it and then obfuscating these events in his later histories. He was actually disobeying God, because he was going after things that he was told not to. Martin Harris later related that Joseph was told to “quit the company of the money-diggers”, but he just couldn’t seem to do so for a good seven years, even after a visit from God and an angel. Although there were many like Joseph Smith and members of his family who believed in the occult and that it was somehow sanctioned by God; there was a sharp divide among Christian believers and those that ascribed to folk magic practices – as the letter from Jesse Smith shows. There were also some Christians who believed in such things as divining rods or treasure guardians, and sought to justify their use by claiming they were “of God”, but Jesse Smith wasn’t one of them. And you know what, people are still doing it today! Hello, my name is Reverend John Polk. I am channeling “Yahweh”, the Judeo-Christian and Islamic creator-god-alien featured in the Bible, the Hebrew Bible and in the Quran. For thousands of years, up to this present day, he has been masquerading as the real God and is pulling a collective veil over the eyes of most of the world. Ancient alien astronaut theorists comprehend this reality, but most of humanity has no idea. Yahweh tells me the time draws near for full alien disclosure, so that we primitive Earthlings can be weaned off of the Mother Universe’s figurative bosom. He wants the world to know that he is an extraterrestrial, that he is not God and that all God-figures in all cultures are ET’s, not God. However, all creator-gods and Yahweh had wanted we humans to keep worshiping those creator-gods just like always. As collective humanity adapts to this knowledge, religion, culture and tradition need not change. For now, you may pray to the alien god you have worshiped all along but now, pray to the real God as well. The real God loves everyone regardless of their religion or belief system and therefore, he is the God for everyone. …Reverend John Polk is a metaphysical minister who can communicate to angels, extraterrestrials, and even the alien-creator-God itself, Yahweh, who he refers to as Enlil (the Sumerian god of the air) and they form a pantheon of aliens, Annunaki, hybrids, and extradimensional entities than inhabit his multiverse. And according to the good Reverend, Jesus was an alien-human hybrid engineered by Yahweh. … And Reverend John Polk might be saying some unusual things, but if we’re going to take religious stories on faith – with burning bushes, water into wine, Joseph Smith’s golden plates, Mohammed and his flying horse, etc… well, then let’s listen to Polk’s message and see what he’s trying to communicate. The fact that there was a complaint made against Joseph in 1826 and he was “Examined” and found guilty of being a “glass looker” is significant. This is the only evidence from that period (1823-27), six years after he later claimed he saw God and three years after his religious angel story. And yet a transcript that we have of the Examination, that Walker above quotes from, has Joseph’s father claiming that he hoped God would “some day illumine the heart of the boy and enable him to see his will.” But “the boy” later claimed to have seen God and later claimed he was seeing an angel every year at the hill by their home previous to this Examination. This indicates that the religious elements of the angel story weren’t really emphasized until 1827, and many later accounts bear this out. This evidence is the smoking gun that Joseph’s religious story was invented after 1826. The corroborating evidence encompasses not only the Smith family neighbors, but close friends and future followers of Joseph’s “restored gospel”. But what about Ron Huggins? He got things essentially right as we shall see. Morris claims that Huggins does not account for “the complex interweaving of faith and folk culture”, but that has little to do with what Huggins postulates because it is irrelevant. He claims that Huggins is the one “obscuring the timeline” and hiding “crucial details”. No, this is what Joseph Smith did. Since Huggins claims that Joseph’s account changed from one thing (a money-digger’s yarn) to another (the religious story of an angel), the best way to test his thesis is to discover when various people talked to Joseph and compare their reports. And not only Joseph, but Lucy, William, Joseph Sr., etc. It is also important to note that it was Joseph and Oliver who were claiming it was always a religious story, that there were no magical elements to it. But we know this was a lie, hence the apologetic arguments that the “restoration” sprang out of both.